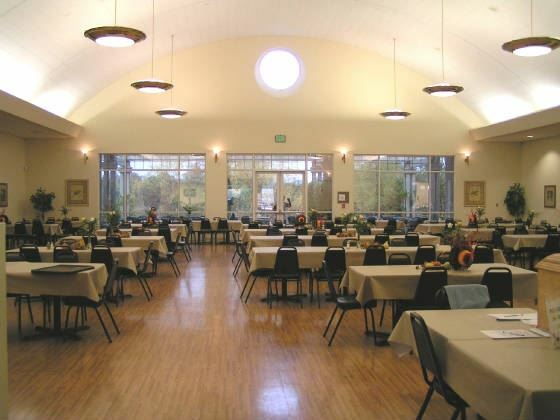 Located on the Mercy Oaks Campus, SSNP offers you the opportunity to rent their banquet hall or smaller rooms for your special event. Whatever the occasion, the SSNP facility is a unique and memorable site. Guests will enjoy the lovely views and spacious rooms. Seniors in Shasta County benefit because rental proceeds are used to support programs for the elderly. Drop by to see this beautiful building or call for information on availability and prices.